When you tune in to the 6pm news at night, do you ever stop to think “what’s this costing me?” Nothing, right? It’s free TV after all. Unfortunately, that’s not quite true as televisions can be notorious power guzzlers and a lot of us overlook just how much it adds to our electricity bills. We’re not saying that you should cut back on television to save money, but the type of TV you use has a considerable impact on the household budget. Here, Canstar Blue breaks down how much your television might be costing you. Those TV ads on free to air TV can be quite costly! Watching television will generally cost between 16 cents and 30 cents for the standard model. Smaller and more energy-efficient TVs will cost a bit less to run – between 7 cents and 18 cents per hour. Meanwhile larger or less efficient televisions can cost considerably more, between 43 cents and 76 cents to run. The table below estimates how much the common LED LCD TV costs per hour to watch, factoring in its size and energy efficiency star rating. The table uses data collected energyrating.gov.au and assumes a usage rate of 33c/kWh. Keep in mind that electricity rates will vary between states and providers. How much can I save with an energy efficient TV? As a general rule of thumb, each additional star on a TVs energy rating represents a 20% increase in efficiency. In fact, as the table above illustrates, a television with an energy efficiency rating of only 2 stars will cost twice as much to run than a similar TV with a 5 star energy efficiency score. You may think that a difference of a few cents is no big deal, but if you’re somewhat of a television enthusiast then the costs will certainly add up. That’s why when you’re shopping for a new TV, it’s important to look at both the tag price and its energy efficiency rating. How much power does a TV on standby use? A TV in standby mode costs around 0.02c to 0.1c per hour, which is not nearly as much as some other appliances. This will again vary depending on the model of the television and the rate you’re paying for electricity. You can check the standby wattage in the TV manual or on the label attached to the cord, but generally speaking, leaving your television on standby won’t blow out the budget. 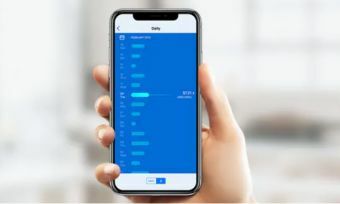 Be sure to check out our article on standby electricity for a closer look at how it is adding to your power bill. What type of television is cheapest to run? LED LCD: LCD’s work using liquid-crystal (LCD) display lit up by an LED backlight. These televisions are generally considered to be the most energy efficient. Plasma: These TVs have nearly disappeared from the Australian market as they were notorious for consuming a lot of power. OLED: Organic Light Emitting Diode (OLED) televisions do not require an LED backlight which allows for deeper shading and colouring. Regardless, they have a similar energy efficiency as LED LCD televisions. The point here is that a plasma television can hurt your energy budget, so it might be worth considering an upgrade if you still own one. While you’re here, why not take the time to compare electricity plans in your area. Follow the links below to compare the cheapest deals on our database for your state. What else affects television energy usage? 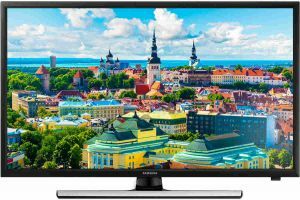 TV settings and features can also add toward the cost of running your television. Simply put, the logical formula to bear in mind is that the harder your television has to work, the more energy it has to consume. Most of the things listed below have a rather minimal impact, but it’s worth keeping in mind. Screen brightness: Brighter lights require more electricity, the same goes for televisions. Higher brightness settings means the TV consumes more energy, adding to the bill. Volume: The volume of your television admittedly contributes an incredible miniscule amount to your TV’s electricity consumption, except where you’re blasting it at maximum volume. It all adds up though and having an unnecessarily loud TV might cost you. 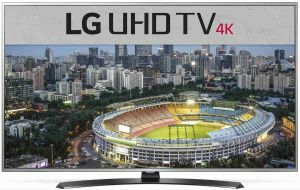 Definition/resolution: high-definition televisions or ones that boast higher refresh rates will generally cost a noticeable amount more to run. 3-D TV: 3-D technology requires a complicated array of colours on screen. Processing these images requires the TV to work a little harder, pushing up the energy bill. Most televisions have an energy efficiency score of between 3 and 5 stars, however the occasional TV stands out with an energy rating of 6 or above. 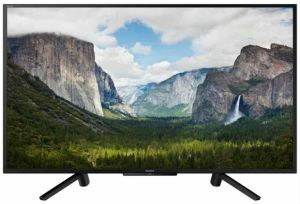 We have listed a few of the most energy efficient TVs you can buy. Hisense is a multinational white goods and electronics manufacturer based in China. Its range typically rivals other leading brands on colour and picture quality, and often comes cheaper than other high-end brands out there. The 32” LED LCD model from Hisense provides a 6-star energy efficiency rating, with a recommended retail price tag of $449. It uses 104kWh per annum, which according to the Standard Test (based on 29c/kWh), should cost you around $30 to use this each year. The brand that says ‘Life’s good’ is perhaps best known for its big ticket home electronics, including televisions. If you’re considering a large TV option, you might like to consider the LG 65” LED LCD model with the same 6-star energy efficiency rating. With the additional screen size, it would use 307kWh each year, giving you an annual running cost of around $89, based on 29c/kWh. With additional features, it ranks up a price tag of $2,999RRP. Samsung is another leading TV manufacturer, offering both high-end and budget TV options. Samsung’s 6-star TV in terms of energy efficiency is the 24” LED LCD model. In a similar price range as the Hisense option mentioned above, this Samsung TV sells for about $450 on Appliances Online. It uses 66kWh of energy per year and in turn will cost just $20 or so to run. Sony is a multinational Japanese company with a modest television range. 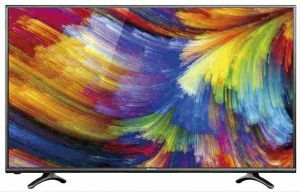 It also offers a 6-star energy efficient TV – the Sony 43” HDR LED model. It sits in the mid-range in terms of screen size and boasts a number of features. The Sony TV uses 160kWh of energy each year, adding about $47 to your electricity bill. In terms of upfront costs, it currently sits at $899 on Appliances Online. 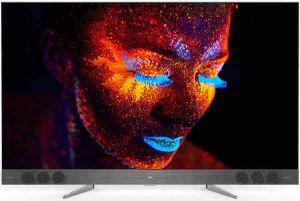 Rounding of our list of most energy efficient TVs you can buy is TCL that has an extensive range of TV’s available in Australia. The Chinese brand offers a large 65” LED LCD model with a 6-star energy efficiency rating, similar to the brands mentioned above. It has a total energy usage of 350kWh/year and you can expect an additional $101 on your annual power bill. This appliance will set you back $2,999 with its upfront cost. Watching TV doesn’t cost the earth, but some subtle changes to your viewing habits could see you saving a tidy amount. While the list above is not excessive, we hope it will provide you with a good place to start if you’re looking to invest in a highly energy efficient TV.